Control Panel in Windows is one of the most sophisticated part of Windows. Whether you are using Windows 8, Windows 7 , Vista or any other Microsoft Windows Version, the control panel is definitely the easiest place from where you can tweak your computer. Whether you wish to Uninstall some software application(s) , use command prompt, tweak power management features of Windows or whatever else, the control panel has everything you need to do. Many software applications add their own icon in control panel and the control panel can become a dense place for finding out what exactly you are looking for. Download Control Panel Menu Software and try it out for free on your Windows 8, Windows 7, XP, Vista or any other Windows Computer. The Software Utility presented above is a really small software application which creates an icon in System tray allowing you to launch various control panel icons easily and quickly. 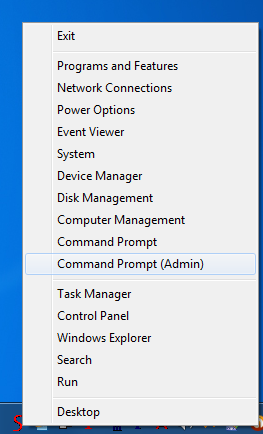 The Control Panel menu allows you to launch Command Prompt, View Network Connections, Open up Programs and Features (to UnInstall any installed application or just view what all applications are installed on your Windows Computer), Open up Control Panel, Launch Windows Explorer, Launch the Run Command Dialog, Open up Search Screen to search any files in your computer, Show Desktop and more. Yes the Control Panel Menu Software Utility works fine on 32 bit and 64 bit versions. The Setup of the software utility adds itself to Windows Startup so that you can launch the Control Panel Menu from the System Tray Icon. The Software application is provided on a free to try and download basis and requires a small registration fee once the trial usages have been used. This Control Panel Menu works on Windows 8 and other Windows versions.